Benefactress of Melek Hatun Mosque is Melek Hatun. 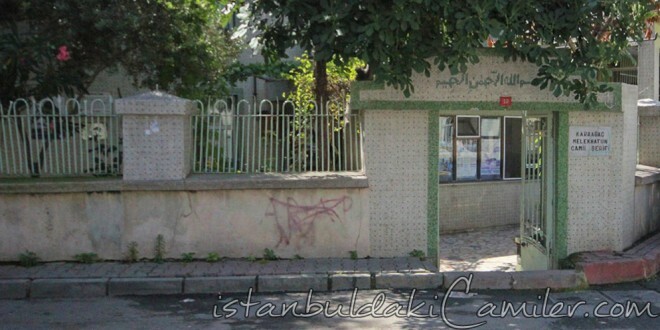 It is located in the vicinity of Mevlanakapi, Ouarter of Melek Hatun, on Melek Cesme Street. Exact date ot its constaıction is not known. Yet as understood from the documents regarding the attendant of the mosque dated 1496, it must have been built before thet year. It is also known as “Karaagaç (elm tree) Mosque” because of the big elm tree in its threshold. Fountain of the mosque is situated over against. It is said that the Mufti of Aleppo Ebu’l-Cevadu’I-Halebi ibn-i Abdurrahman ibn-i Muhammedu’l-Hanefiyyu’l-Sufiyyu’l-Ulvani is buried in the grave adjacent to its minaret. Melek Hatun Mosque is a square planned mosque with a wooden roof and ceiling. The walls are bonded out of stones and bricks. Its minbar and ladies’ section are made of wood and it has a plain looking mihrab in the shape of a round niche. Entrance of the minare that is situated on the right side of the mosque is from inside. The mosque ruined in time was renovated true to its originality in the year 1957 by the benevolent people of the area.